Most women with early-stage breast cancer may be able to avoid chemotherapy, a new study finds. Researchers determined that patients with smaller tumors that had not spread to the lymph nodes did just as well without chemo as those who got the treatment, according to the study presented Sunday at the American Society of Clinical Oncology meeting and published in the New England Journal of Medicine. Experts cautioned, however, that the findings may not apply to those who have larger tumors or those with cancer that has started to spread, or metastasize. More studies are needed to look at those groups of women, they said. “This is a really big deal,” said Dr. Adam Brufsky, a coauthor on the new study and a professor of medicine at the University of Pittsburgh. The bottom line, Brufsky said, is that doctors now have a test to determine which early-stage patients — and that’s most of them — can skip chemotherapy. 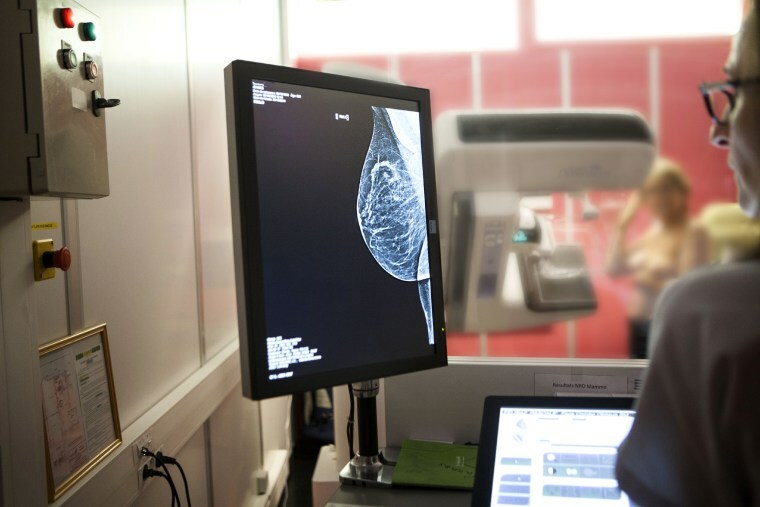 Of the more than 250,000 women in the U.S. expected to be diagnosed with breast cancer, the new findings could benefit more than 63,000 with non-invasive, or early stage, disease. Women with cancer are given scores that come from genetic tests that analyze the tumors and look for the presence of 21 genes that have been associated with a high likelihood of recurrence. Until now, doctors didn’t know for sure whether to offer chemotherapy to a large percentage of patients with early-stage cancer. The new study followed 9,717 women with early-stage disease, ages 18 to 75, with estrogen-receptor-positive, HER2-negative cancers that had not spread to the lymph nodes — cases where doctors have been unsure whether chemo would be helpful. Of the 9,717 women, 6,711, or 67 percent, had test scores indicating an intermediate risk of recurrence — their score was 11 to 25. After surgery and radiation, those women were randomly assigned to receive chemotherapy with an estrogen-blocking medication or just the estrogen hormone blocker. Prior to the study, doctors knew women with a low score on the test, less than 11, were told they could skip chemo with no ill effects. Women at high risk, or scores of 26 or higher, were advised to have chemo. The new study showed that women with intermediate risk, it made no difference in terms of recurrence whether a woman was treated with chemotherapy or not. Nine years after their initial treatment 83.3 percent of women treated with just an anti-estrogen medication and 84.3 percent in the anti-estrogen plus chemotherapy group were cancer free. Further, 94.5 percent of those treated with just an estrogen blocker and 95 percent of those treated with anti-estrogen plus chemo, had no recurrence at a distant site. Some cancer specialists have been postponing the decision to treat their newer patients with chemotherapy until the study findings were released. Why is it better to avoid chemo? Avoiding chemotherapy can make a major difference to a woman's quality of life and health. The treatment can cause unpleasant side effects, some of which can put a woman’s life at risk. Along with hair loss, nausea and vomiting, chemo can leave a woman with a depressed immune system, said Dr. Jennifer Litton, an oncologist and an associate professor at the University of Texas MD Anderson Cancer Center. Long-term, Litton said, it can leave a woman with permanent numbness and tingling. For Litton, the new study will make a tremendous difference in breast cancer treatment for many women. "We now can identify a larger group of women who can avoid chemotherapy and just give anti-estrogen therapy and get the same results,” she said. The new findings offer reassurance to patients like 61-year-old Debra Reese of Houston, whose score of 10 led her doctor to recommend against chemotherapy. “I think I fall right in line with the study and the results that came out from it,” Reese said. Knowing the results the new study, she is reassured, "I did the right thing."